Hi guys, so today I was going to do my first ‘Harry Potter Moment Of The Week’ of 2016 but I woke up to the sad news that Alan Rickman has passed away at the age of 69 therefore I’d like to dedicate this post to him. Alan Rickman was an amazingly talented actor who became the star in whichever film he appeared in. 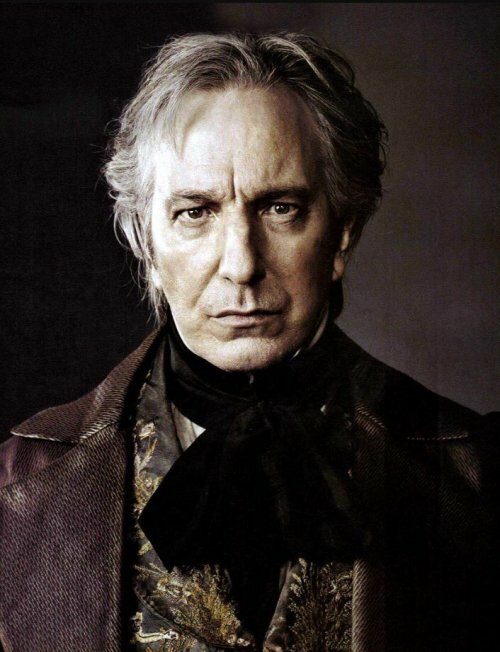 Some of his most popular roles being; Severus Snape in Harry Potter, Hans Gruber in Die Hard, Harry in Love Actually and Judge Turpin in Sweeney Todd. This man was a huge part of my childhood as I grew up with the Harry Potter series and therefore he became the man who played the part of one of the scariest teachers in the books. When I think about it now, I don’t think they could’ve picked a better person to play Snape, he portrayed the character brilliantly and did an amazing job of bringing him to life. There are no words to describe how sad I am about this news. I was a huge fan of a lot of his work and I’m deeply saddened there won’t be more but at least he’s no longer suffering. This week has been a hard week, first with the loss of the musical legend, David Bowie and now a phenomenal actor. All this has happened so quickly in the year too. Hopefully it’ll be a long while before we lose another huge talent. 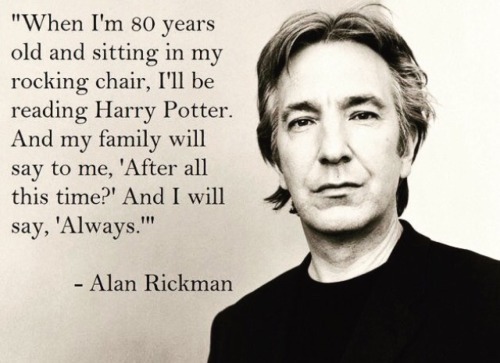 Alan Rickman will be remembered by many people of all ages for his fantastic work. Hey guys! 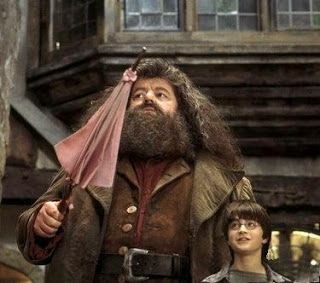 It’s been a few weeks since I last did Harry Potter Moment Of The Week (HPMOTW) but I’m finally going to join in again. HPMOTW is a meme started by Uncorked Thoughts and Lunar Rainbows and basically the aim of this meme is to share with fellow bloggers a character, spell, chapter, object or quote from the books/films/J. K. Rowling herself or anything Potter related!. To see the upcoming topics and to find out how to join then please do click on the links! 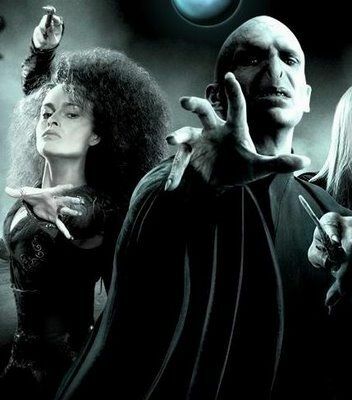 This week’s topic is: Would you rather be locked in a room with Voldemort or Bellatrix? Both these characters absolutely terrified me as a kid and I’m not going to lie, they still kinda scare me now. 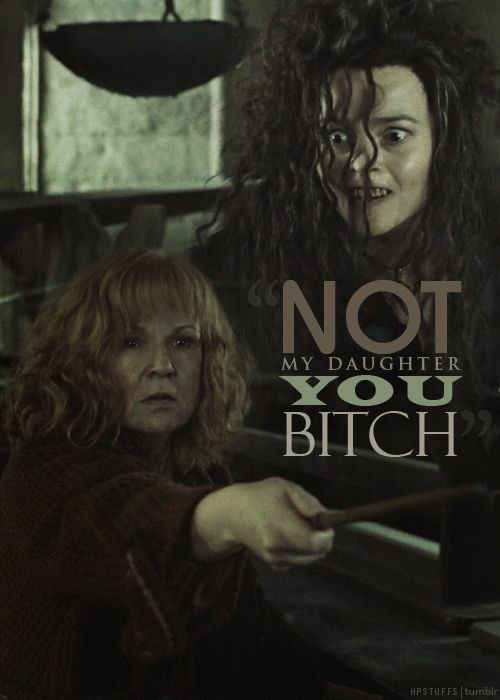 There are reasons why I would choose Voldemort and reasons why I would choose Bellatrix. Whilst both are cruel and sadistic I feel like I could learn a lot from Bellatrix as she is a really clever witch and knows her stuff (even if it is used for evilness) but at the same time I feel like she would torture me slowly just like she did to Neville’s parents. For Voldemort, if I was going to be killed then I feel like he would just get it over and done with using the killing curse if I done everything he wanted me to do beforehand. None of these are positive reasons but it’s all I can come up with as I can’t choose just one of them! What about you guys? Who would you rather be locked in a room with? 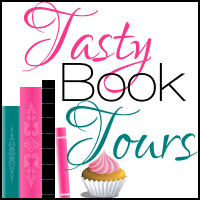 This week’s topic is: If you could change one thing in book one, what would it be? I just recently finished re-reading the Harry Potter series again and I forgot how much I loved it! I love pretty much everything about the books and they’re magical in every way possible. However, if I HAD to change something then it’d probably the fact that Snape picked on Harry pretty much on his first day. He didn’t even get to know Harry before he started. He didn’t let Harry settle in to the class. It started as soon as the class began and for me that wasn’t fair. What about you guys? Would you change anything? This week’s topic is: If you had to use one, which Unforgivable Curse would you use? Well I wouldn’t want to use any because, well the name says it all really, they’re unforgivable. Also, they’re usually used to hurt people. I mean, look at Neville’s parents who were tortured to the point of insanity by Bellatrix Lestrange and a few other Death Eaters using the Cruciatus Curse. This curse is used to torture people by inflicting excruciating pain on the victims. We then have Avada Kadavra, the Killing Curse. This one is the worst of them all. Again, the name says exactly what it is. If I really HAD to choose then it’d probably be the Imperius Curse as this one is probably the least harmful depending on who cast the curse. The picture above really says it all about the Imperius Curse. Depending on who casts the curse, they could just be completely calm but if cast by someone evil a.k.a Death Eaters, then could be used to commit horrible deeds. You can find out all about the unforgivable curses here if you don’t already know them! What about you guys? If you had to choose, which one would you pick? This week’s topic is: Which death eater would you be? To be honest I wouldn’t want to be any of the death eaters. There isn’t a single one that I’ve ever thought ‘oh, I’d love to be them for a day.’ Bellatrix Lestrange is completely sadistic and for me probably one of the worst Death Eaters. She takes so much pleasure from other people’s pain and she happily and gladly tortured Neville’s parents to the point of insanity. What kind of human does that? She’s a vile person. Of course none of the other Death Eaters were much better but for me I have a strong dislike towards Lestrange. Then we have Peter Pettigrew, the man who betrayed Lily and James Potter after he turned them into Voldemort. Then he had the audacity to ruin someone else’s life by making them out to be a murderer (Sirius Black). I literally can’t pick any so I guess I haven’t really properly answered this week’s topic. What about you guys? Which death eater would you be? 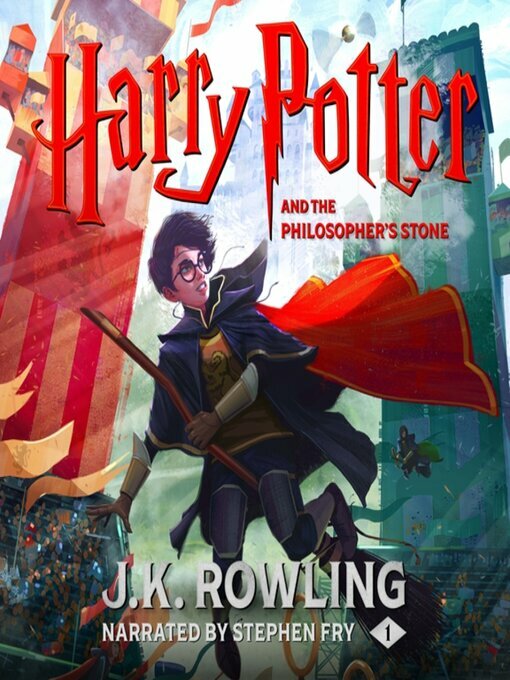 This weeks topic is: You have to battle a dragon in the Triwizard Tournament. Which one is it? Okay so for this one I would probably choose the Common Welsh Green dragon. This is simply because this is the dragon that seems more ‘calm’ in the sense it avoids all humans unless it’s provoked and it’s also described as having a ‘melodious roar’ which makes it seem like an easier choice. Especially since I’m not the bravest of people and get scared of the smallest little thing. I definitely would never go for the Hungarian Horntail dragon. This seems like the most vicious as it’s flame can reach up to about fifty feet and it also has a screeching roar and I’d most probably die within five seconds of being in the company of this dragon (I mean just look at the gif and you’ll see why I don’t want to choose this one). At least with the Common Welsh Green I may survive for like a minute or so. What dragon would guys choose to battle in the Triwizard Tournament? Leave a comment and let me know!